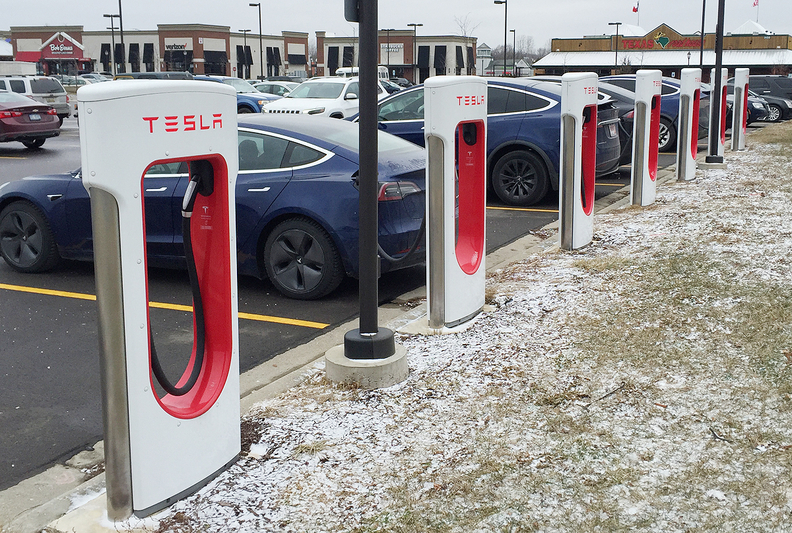 Winter has come for Tesla Inc. and its army of car owners, which swelled in size last year. And some of those customers have cooled on the company along with freezing temperatures. Model 3 owners have taken to social media and online forums to air issues they’ve had with their sedans due to the frigid weather of the last week. Cold conditions are a drain on battery range, no matter the car brand. But other predicaments are particular to Tesla. Tesla isn’t alone in facing this flaw. “What’s specific to Tesla is the quality of manufacturing," Morsy said. Some are just venting, and others are writing to Tesla or Musk himself, asking for a fix. Andrea Falcone, a software engineer in Boston, tweeted a picture of her frozen handle, commenting, “I can’t wait all day for this silly car.” Less than two months earlier, she had purchased the Model 3 and posted a smiley emoji and a picture of herself posing with the new car. The cold temperatures came even earlier for customers in Canada, prompting instructional videos suggesting ways to overcome frozen handles. One almost 7-minute YouTube video shows how an owner had taped dental adhesive film over his door handles to protect them from freezing. Another owner in New Brunswick tweeted out a video in December. He was more blunt. "It is Canada, things are going to freeze," the tweet said. "The #tesla #model3 is a car, not a crystal glass; give it a smack and stop complaining about frozen handles." Musk tweeted on Jan. 25 that Tesla was preparing over-the-air software updates that would improve how its cars were holding up in cold weather. The tweet offered no further details.